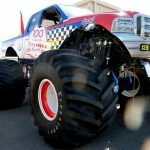 When you visualise an electric car, it’s unlikely a monster truck is the model that springs to mind. At this week’s Vancouver Auto Show, that’s exactly what the crowds were treated to. The Odyssey Battery Bigfoot No. 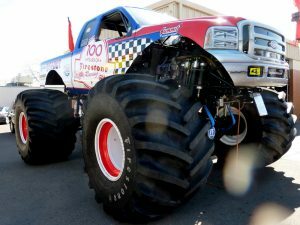 20 Monster Truck was unveiled at the event and is the first monster truck to be 100 percent electric. The release of the monster electric car, while not expected to take off in the world or Monster Trucks, the release is hoped to spark interest in the electric car scene and raise the profile of EVs to a wider audience. The DC motor was hand built by Dennis Berube from the company Electrified Motorsports. Boasting a 30 Batter/360 Volt PowerPack system with variable speed programmable speed controller, high horse power and high RPM capabilities.